[ #Adobe #AfterEffects ] The 2017 release of After Effects CC (April 2017) comes with a host of innovative new features. The latest update to compositing tool, adding a template system for motion graphics work and new Lumetri scopes panel from Premiere Pro. The new version will be on show at NAB 2017 next week, alongside updates to Adobe’s other video tools, including Premiere Pro CC 2017.1. Quickly access frequently-changed parameters and retain stylistic control of your compositions by packaging them as Motion Graphics templates in this new panel. 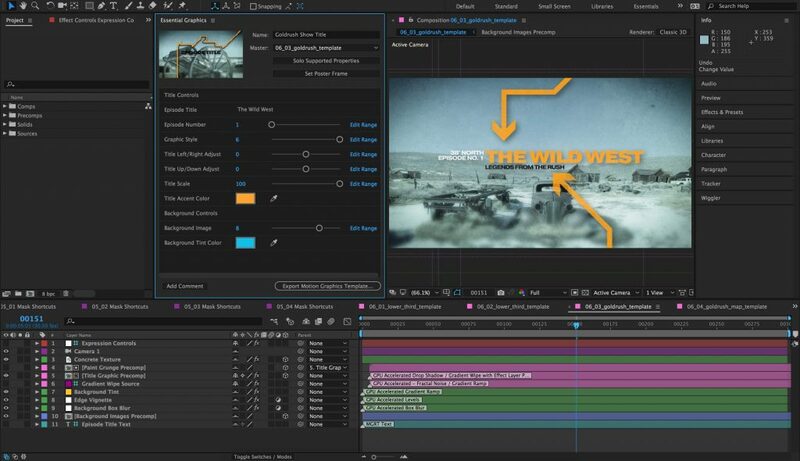 Editors can change variables like text and color without changing the overall aesthetic, and your team can share templates via Creative Cloud Libraries. Effects that reference layers now include source masks and effects. Rescue unusable footage by removing camera-shake artifacts such as motion blur. After Effects offers native support for footage with frame rates higher than 99fps. Evaluate and accurately color-correct your compositions using Lumetri video scopes, which include Vectorscope, Histogram, Parade, and Waveform. Iterate faster using Dynamic Link in Team Projects and save Team Projects compositions back to After Effects. Render Fast Box Blur and other effects more quickly for instant feedback on your creative choices, and get faster performance across the app. After Effects now supports Indian language scripts and others that read from right to left, such as Arabic and Hebrew. 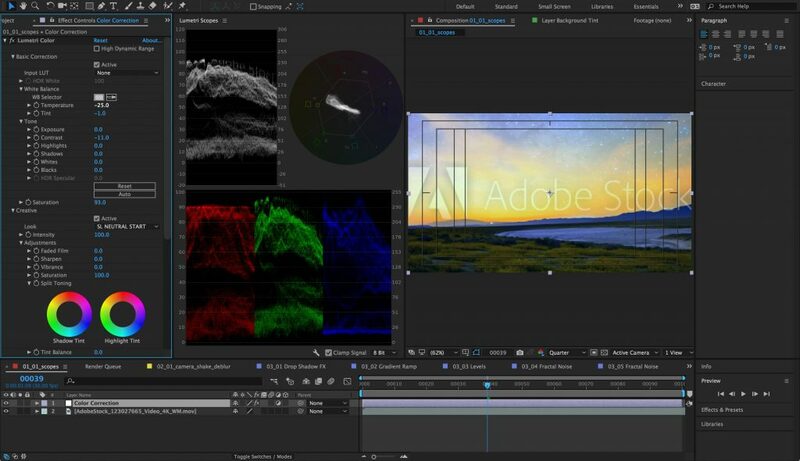 Subscriptions to all of Adobe’s creative tools start at $49.99/month.